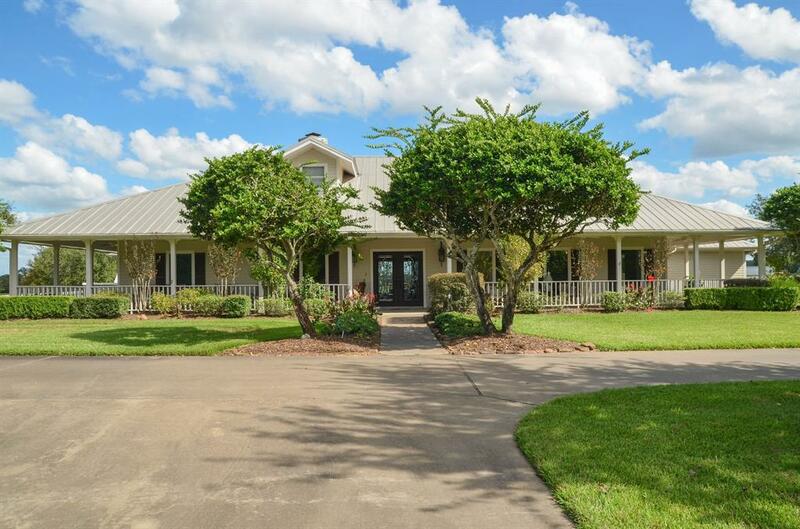 Just a short distance west of Houston, this unique property is close to populated areas to provide necessities, yet far enough into the country to offer a complete lifestyle from the fast pace of large city dwelling, Houston is an easy commute from this exceptional property.The serene setting of this 49.87 +/- acre ranch boasts majestic trees, soft green coastal Bermuda grasses and the quality of the land will bring forth wildflowers in the summer and the views of gently swaying pastures.This custom one-story home offers three or four bedrooms, wine room, formal dining, Large expanses of glass through the home afford stunning vistas. 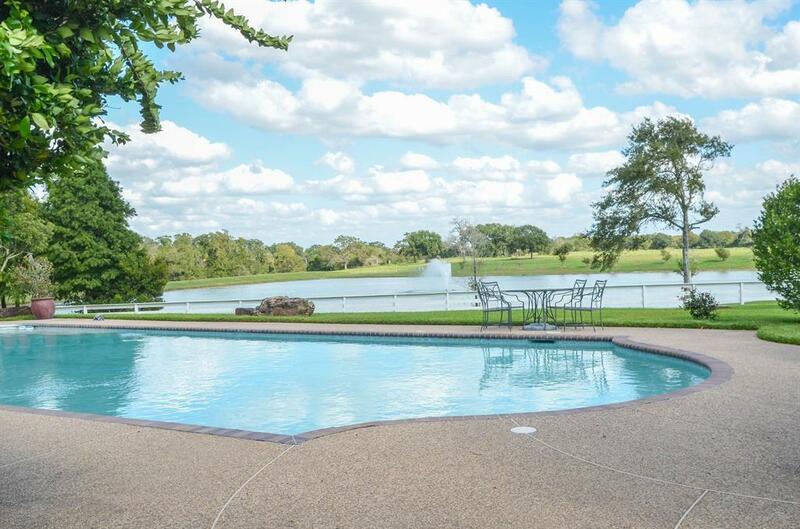 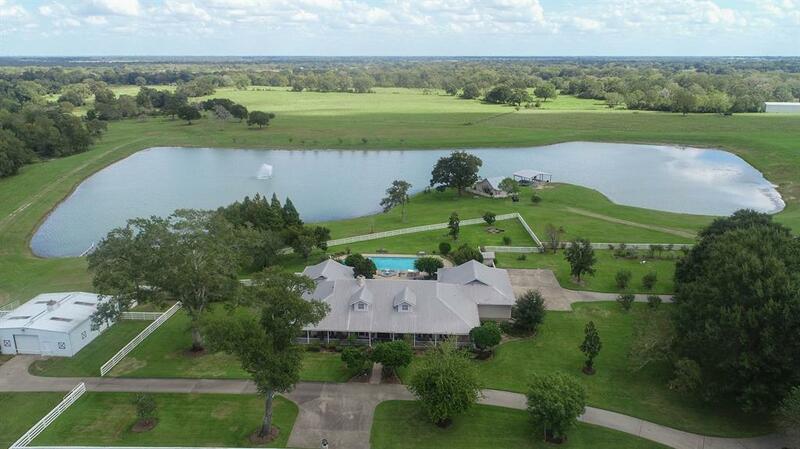 Upon entering the home through double beveled glass doors, you will notice the view through the entire home to the covered logia and pool, fountains, spectacular stocked lake and surrounding countryside. 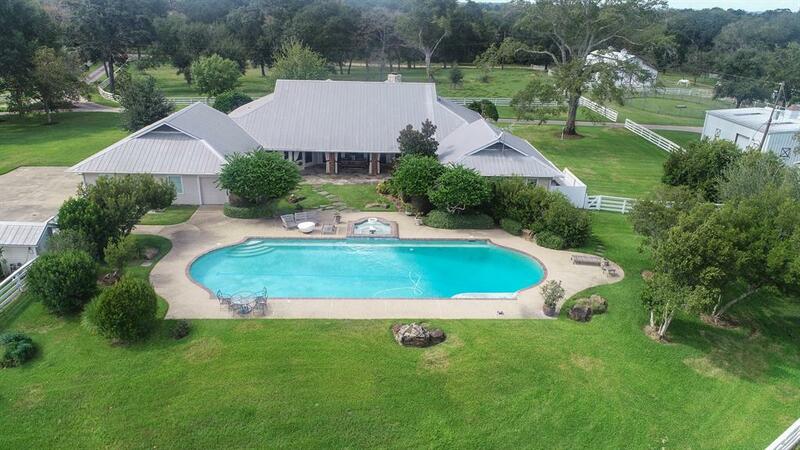 There are two equipment barns, loafing shed and a fantastic horse barn with stables, bath and hobby room (or future living quarters.